If you want to witness the power of nature, then a road trip to some of the best Maui waterfalls is a must during your visit! This island is a treasure filled with gorgeous landscapes, such as pristine beaches, deep blue oceans, volcanic rocks, and crystalline water. You can experience its beauty for yourself when you stand at the foot of a majestic cascade! Enjoy thrilling hikes through lush forests and bring your camera along, because you’re in for a treat with these Maui waterfalls. As a famous landmark on the Road to Hana, Twin Falls is an absolute must-see during your stay. Hike along a lovely and scenic path up to the gorgeous waterfall. Bring your bathing suit and go for a swim! Twin Falls makes for ideal Instagram pictures, especially with the overhanging plants and a mysterious cave behind the falls. Located at mile marker 45 on the Road to Hana, Wailua Falls is a stop you cannot miss! This is the most photographed waterfall on the island, and when you see it, you will understand why. Take a look at the water cascading 80 feet down in the middle of a jungle wall. The best part? You don’t even need to get out of your car! If you do wish to stop, there is a parking area and plenty of local vendors and snacks. Don’t forget to bring a bathing suit and take a dip in the water! Upper Waikani Falls (or Three Bears, as the locals call it,) is a 70-foot triple waterfall that plunges into a pristine pool of water. The falls are accessible from Hana Highway, but if you wish to walk up to them, a small parking lot is located about a tenth of a mile away. Be careful on your way down; it’s quite slippery! Waimoku Falls is a 400-foot waterfall on the Pipiwai trail. It is considered as the most dramatic waterfall hike on the island of Maui. Pass by jaw-dropping pools of water, tropical trees, and bamboo forests, and get ready to marvel at the impressive cliff! Remember to wear good shoes, the hike to get there is 4 miles round trip, but the spectacular view is worth it! During your stay on Maui, you need to visit at Honokohau Falls at least once. It is by far the tallest waterfall on the island, plunging over 1,100 feet! Movie fans might recognize it from Jurassic Park, but don’t worry — there aren’t any dinosaurs around! You can only access the falls by helicopter, so make a whole adventure out of it. After a long day out in nature, there’s nothing better than coming back to a cozy property. 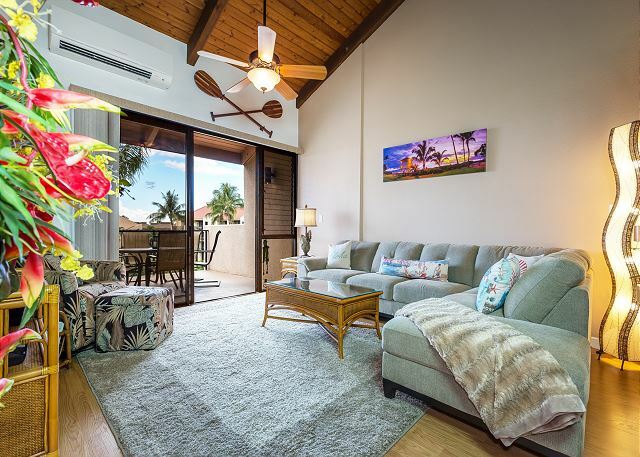 PMI Maui is here to help you find that home away from home! Discover our stunning accommodations and have the best vacation of your life. Not sure which property is right for you? 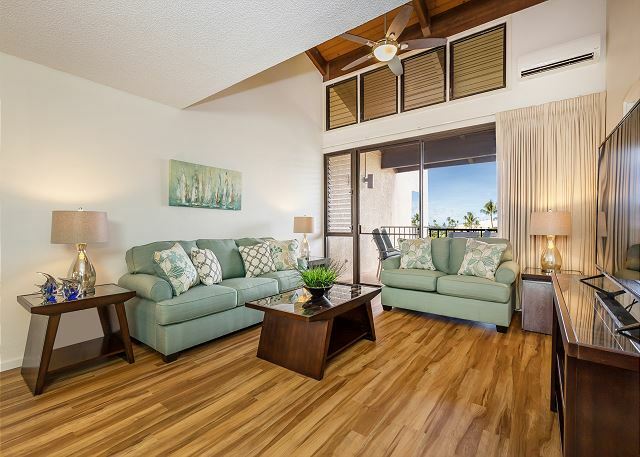 Book our Hale Kamaole 4-334 unit! 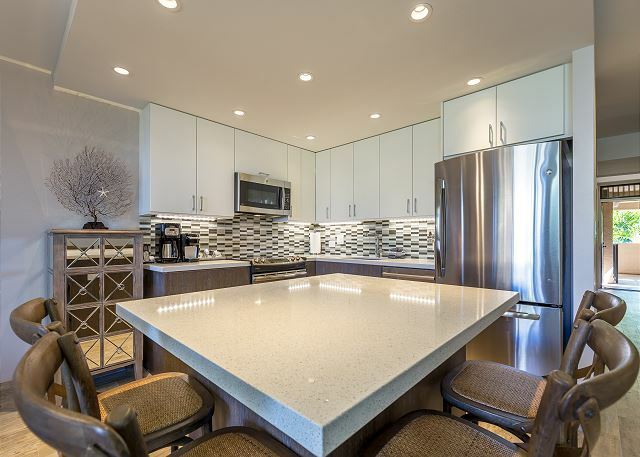 This spacious two bedroom condo is ideal for families and can sleep up to six people. Everything you need is already here; the only thing you need to do is relax and unwind! 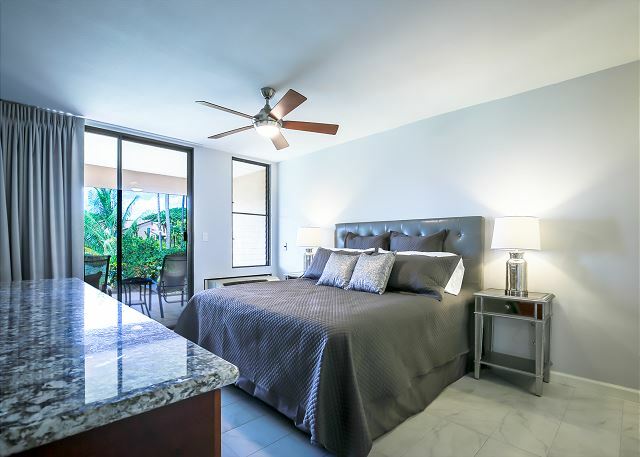 Drink a glass of wine on your private balcony with a gorgeous ocean and garden view, take a hot shower in one of the two modern bathrooms, and cook a nice dinner in the fully equipped kitchen! 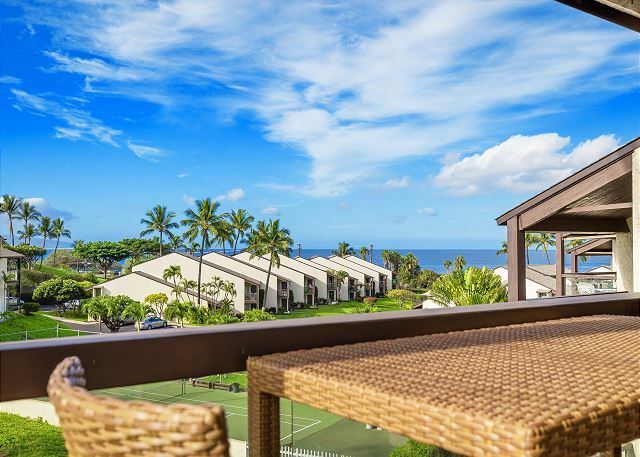 Book your stay today with PMI Maui! We look forward to making your dream vacation a reality.